The Deathwatch Space Marines serve the Ordo Xenos of the Imperial Inquisition. They are the warriors of last resort when the Inquisition needs access to fire power greater than the Imperial Guard. 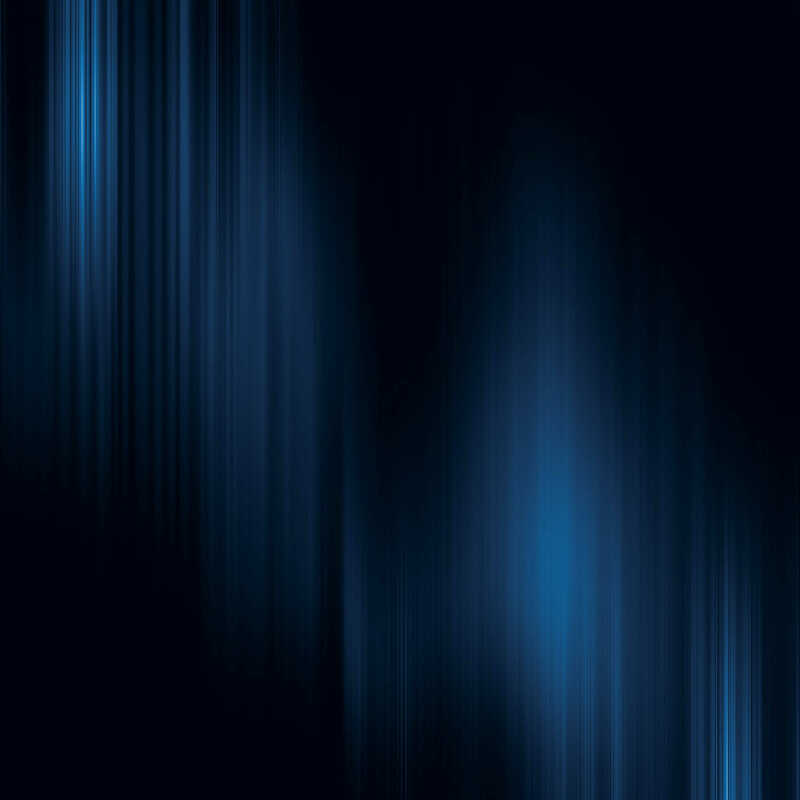 Across the galaxy there are insurmountable numbers of hostile alien forces that threaten mankind. In Warhammer 40,000: Deathwatch – Enhanced Edition, you will face off against the monstrous Tyranids. It is up to the Deathwatch to go toe to toe with this tyrannical and colossal alien force. Never has a xenos threat been so great as the terror that the hive fleets beckon. The Deathwatch Space Marines form the first and sometimes only line of defense against this host of nightmares. 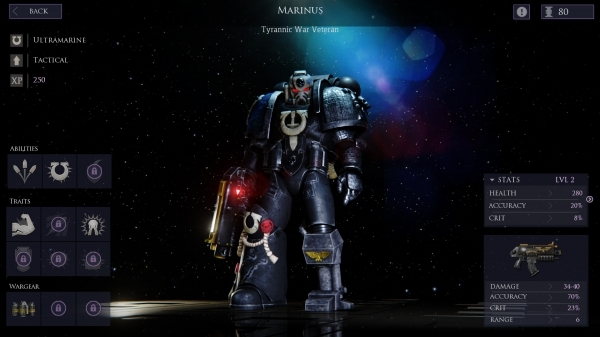 The Deathwatch is not a unique Space Marine Chapter, like other Chapters of the Adeptus Astartes, but rather it’s a collection of elite and veteran champions that are pulled together from all Chapters. Think of the Deathwatch being akin to the Special Forces. Deathwatch Space Marines will serve the Inquisiton for a discrete period of time. To be chosen by one’s Chapter for service in the Deathwatch is one of the highest honors that any Space Marine can ever hope to earn or achieve in the Imperium of Man. Deathwatch Space Marines do not organize into squads or companies, which are generally used by the Adeptus Astartes. Instead, they operate in small units known as Kill-teams. If a Xenos threat is particularly dangerous, several Kill-teams may be assigned to deal with it, but if the threat is too much even for the Deathwatch to handle, the Inquisition will be forced to turn to a full Space Marine Chapter or to multiple regiments of the Imperial Guard to dispatch it. Warhammer 40,000: Deathwatch – Enhanced Edition is a turn-based strategy game, set on the edge of Imperial Space, where your Space Marines will engage and battle with the Tyranids. The battlegrounds will range from war-ravaged cities, to the insides of Tyranid bio-ships. Your Kill-team will rise in strength and skill as you face ever greater threats and peril. 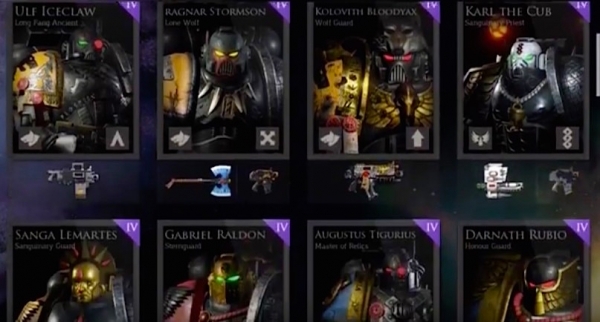 In this game you will be able to customize your Kill-team with over 200 different weapons, wargear, and relics, as well as have access to 50 unique Space Marines from 6 different Chapters. You will also be able to play through a 40 mission campaign against thousands of Tyranids. 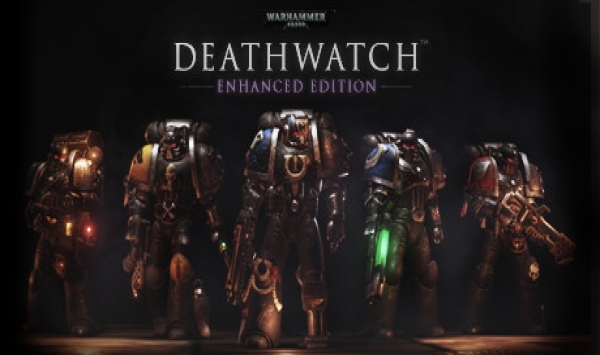 The 6 Chapters that are represented in Warhammer 40,000: Deathwatch – Enhanced Edition are as follows: Ultramarines, Blood Angels, Space Wolves, Imperial Fists, Black Templars, and Dark Angels. Deathwatch is a turn based tactical game in the same style of XCOM: Enemy Unknown. The player is provided with Ability Power (AP). The AP can be used for movement and for attacking. Some weapons, like Devastator Space Marine weapons, will require 2 AP to fire instead of 1 because they are so powerful. After a player takes their turn, and presses the end turn button, then the Tyranids will take their turn. The xenos are aggressive, will try to swarm and kill you, the AI does not hold back. In addition to the use of their AP, the player can choose to go onto Overwatch to try and repel the swarming forces. Overwatch is your friend use it, if you do not, then you will surely die. Rodeo Games’ first Games Workshop licensed game was Warhammer Quest. A few of the complaints and issues that I had from Warhammer Quest also carry over into Warhammer 40,00: Deathwatch- Enhanced Edition. There is no way to hide or conceal that originally both were iOS titles. The player will absolutely notice that the mechanics and UI scream touch-based game. I’m not a huge fan of straight iOS ports to Steam PC. However, Steam is okay with it, so there it is. My first recommendation when it comes to these types of games is that it is always best to play it on the device that it was intended to be played. If you own an iOS device, I would highly recommend this game for that platform. If you do not own an iOS device, then you’ll be able to play this game via Steam for $24.99. I’m not a huge fan of this price point. The game does have a tremendous amount of content and will require an obscene amount of game time to unlock everything. However, with it being a straight mobile port, I just think the price is a little high. You may want to consider waiting for a sale before purchasing. One of the things that I really liked about Rodeo Games’ first title Warhammer Quest was the fact that so much attention was paid to the lore and detail of the Warhammer universe. In Warhammer 40,000: Deathwatch – Enhanced Edition it seems that the focus was more on tactics, objectives, and gameplay. Also in Warhammer Quest, there was more of a traditional RPG progression system with shops and towns having different weapons and items in stock. The Deathwatch game, though, is set up on a card based loot system. Everything is random; even the Hero cards are mixed in with the rest of the loot cards. The player’s experience and upgrades are all based on RNG. The 2 Chapters that I like the least in this group of 6 are Ultramarines and Space Wolves; so far, those are the only Chapters that I’ve been able to obtain hero cards through this RNG system. I just wish everything wasn’t dictated by RNG. The cards have four degrees of variation with common, uncommon, rare, and epic types. 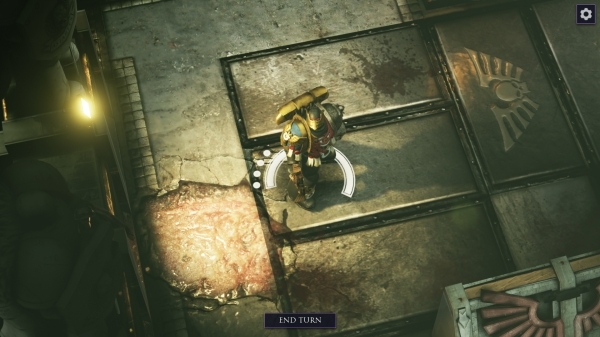 Warhammer 40,000: Deathwatch – Enhanced Edition is one of the first iOS games to ever use Unreal Engine 4. There are a lot of interesting features; the graphics look good, and the game has a lot of content that will require quite a bit of game time to unlock all of it. In order to 100% Warhammer Quest I had to play the game for 98 hours. I personally feel that Deathwatch will require even more time than what I had spent in Rodeo Games’ previous title. As far as the price of $24.99, I’m going to leave it up to each gamer to decide what is right for himself or herself. The most important thing to remember is there is no way to hide or conceal that this was an iOS game, so despite the game’s meaty content, some gamers may balk at the price. This entry was posted in PC, Post, Reviews and tagged Deathwatch, Enhanced Edition, Games Workshop, ios, Rodeo Games, Saint Killjoy, Steam PC, Travis Patterson, Warhammer, WH40K. Bookmark the permalink.